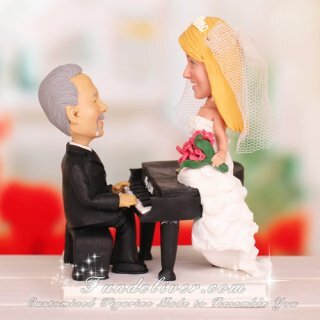 This is a completely customized romantic moment cake topper ordered by one of our customers. They would like the bride to be sitting on the piano looking towards the groom, which is sitting on the bench at the piano as if he were about to play. The groom is wearing a black tux. The bride is wearing a strapless dress, a mini tiara and veil, holding a bouquet with pink lilies and orchids. 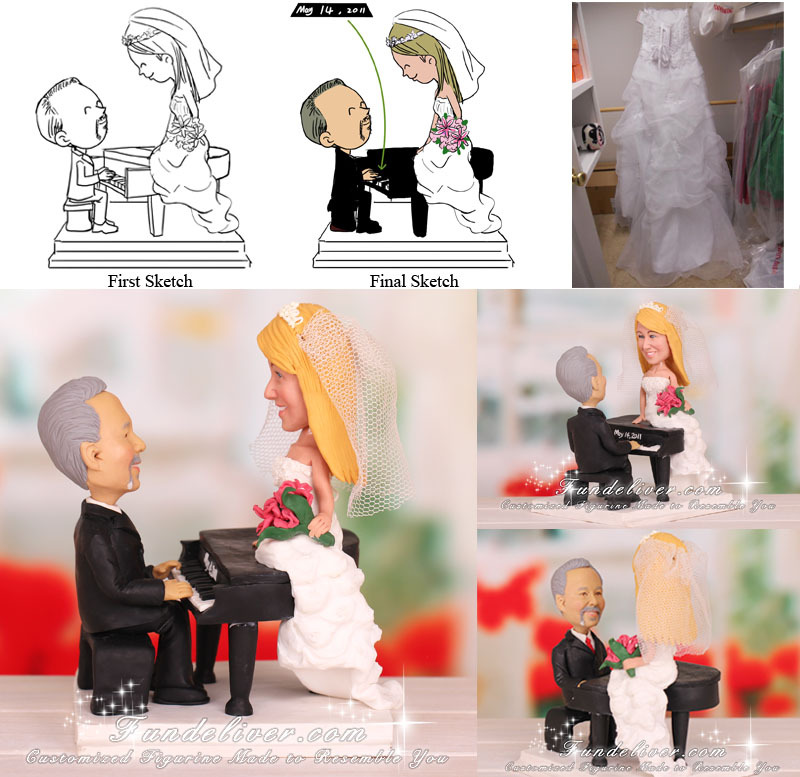 Complement your romantic wedding with this personalized cake topper to memorized to the romantic moment of your love? When your guests enter your wedding reception, the most important things can grab their eyes are you wedding cake and cake topper. Why not have this personalized romantic wedding cake topper witness your big day with your guests?